Early recovery can be difficult for numerous reasons, but one of the most prominent reasons for this is the experience of feeling overwhelmed. This can be brought on by numerous factors. Everything in your old life must change in order to support sobriety moving forward. There is no more escape available through substances. Initial recovery is especially difficult because of this. Rather than using drugs or alcohol to cope with stressors, a person must now find new ways to handle it while also managing cravings, triggers, and temptation on a daily basis. In order to better manage recovery, especially early in the process, it is important to begin developing routines. This process often begins during a drug treatment program. Many people do not have well-structured routines prior to treatment and find themselves with an inordinate amount of free time as they get sober. Developing a routine can provide structure and comfort to combat feelings of restlessness and stress. A routine, especially in early recovery, can reintroduce a person to healthy habits and balance. Having a daily or weekly routine can help provide structure and a sense of guidance or comfort. While it may not be possible to follow a routine exactly every day, having some semblance of structure can make days more manageable. What Can a Routine Include? Routines can provide stability during a time of great change. Early recovery can be especially difficult as many grapple with feelings of irritability, anxiety, depression, confusion, self-doubt, and shame. The introduction of a routine during this difficult transitional period can create a sense of normalcy. This can improve the recovery experience and also help a person develop healthy habits and routines to support sobriety further down the road. While early on, their routines may be simple, over time, routines grow and help prepare a person for additional responsibilities as they regain independence. This can reduce feelings of being overwhelmed and make it easier to manage. Following a routine can also help strengthen relationships with others. Routines require you to hold yourself accountable and manage your responsibilities. Paying bills, taking care of yourself, and being responsible in your work can show your growth and change to those around you. In addition to improving your credibility with loved ones, it can strengthen your belief in yourself and boost confidence levels. By managing your responsibilities and maintaining a routine, you are able to prove what you are capable of to yourself and those around you. Issues related to sleep are common, especially in early recovery. Setting regular times in which you go to sleep and wake up can help you adjust to a normal sleep pattern more quickly. Routines increase productivity. Without an outline of responsibilities, it can be easy to waste time and get caught up thinking about what you could do instead of acting. Routines can make responsibilities seem more manageable. It is easy to become overwhelmed by tasks, but by creating a routine, they appear to be smaller pieces of a larger puzzle, rather than an overwhelming force. Having a routine reduces the likelihood of procrastination. If you know what tasks you must complete for the day, you are more likely to work towards getting them done because they are scheduled. Developing a routine can help a person establish healthy habits. Getting enough sleep, exercising regularly, and taking care of oneself can improve the recovery process. It ensures a person’s physical health improves along with their mental and emotional health. 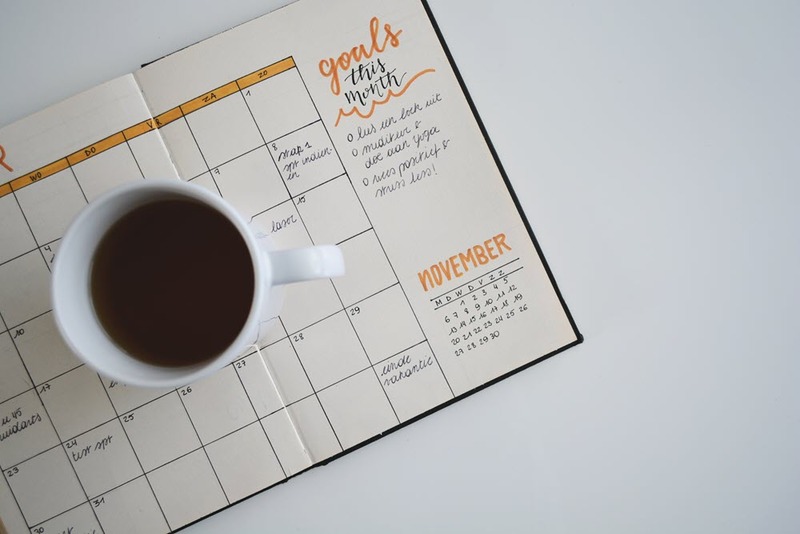 Routines are great ways to provide structure to your life, but if deviating from a routine causes anxiety, stress, or discomfort, it can be problematic. Life is unpredictable and routines may need to change to adapt. An inability to adapt can create problems. Neglecting others and putting your routine before everything else can be damaging. An unwillingness to engage with others because it does not fit your routine can strain relationships and cause unnecessary stress. Following a routine too strictly can cause you to miss out on new and exciting opportunities. If you avoid new things because it does not fit your routine, chances are you are missing out on amazing growth opportunities. Routines can be a method of avoiding reality. They can create patterns of boredom and predictability that may put a person in a dangerous state of mind. Sticking to the same routine for years can cause a person to no longer grow and may put them at risk for relapse due to boredom. Create your routines on a weekly basis so they may shift as you need them to. Be willing to adjust your routines if there is a good reason to do so. Schedule new activities for yourself so that you can experiment and learn more about yourself. Ensure your schedule is reasonable and able to be followed. Create balance for yourself physically, mentally, and emotionally. Get ideas from others who have successfully built healthy, manageable routines. Prioritize what is most important. Your routine is vital to managing recovery, but it should not always be placed above the needs of others. Be sure to make time for loved ones and rebuild relationships that may have suffered over the years due to addiction.